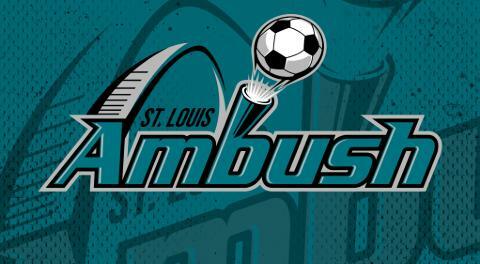 St. Charles, MO (February 28, 2019) – The St. Louis Ambush (9-9) finish their longest home stand of the season when they host the Harrisburg Heat (5-9) Saturday, March 2 at 7:05 p.m. CST, then welcome the Milwaukee Wave (13-3) Sunday, March 3 at 3:05 p.m. CST. Harrisburg comes to town having won four of their last six games, but they remain winless (0-8) on the road. Saturday’s game marks the second and final meeting between the Ambush and Heat this season. The Heat won the previous encounter 7-6 on December 8 in Harrisburg when Tavoy Morgan scored the game winning goal with just 21 seconds remaining in the match. Saturday’s game marks the return to St. Louis of Dylan Hundelt, who spent the last three seasons in an Ambush uniform before signing with Orlando during the off-season. Orlando then dealt Dylan to Harrisburg on December 26. Saturday’s match also marks the first trip to St. Louis as Head Coach for Harrisburg’s Pat Healey. A top defender during his playing days, Healey enjoyed a career that spanned 10 seasons (2008-18), all with the Baltimore Blast. With their 13-3 record, the Wave are firmly in control of first place in the MASL South Central Division and are the likely division champions. That also means they are the playoff opponent for the team that finishes second in the division and earns the second playoff berth. The Ambush are competing with Kansas City and Orlando for that final spot, so Sunday’s match could also be a playoff preview. The Ambush and Wave will see plenty of each other down the stretch, as Sunday’s game is the first of three remaining between the two teams during the regular season. St. Louis and Milwaukee have met twice thus far this season, with the Wave prevailing in both games. 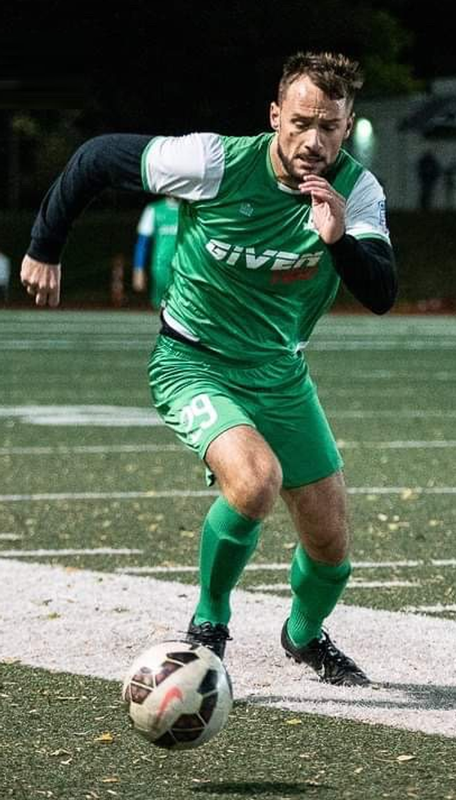 A head of this weekend’s games, today the Ambush announced the signing of 25-year-old forward Edin Campara (pronounced EH-deen CHAM-par-ah) to a two-year deal. Per league and team policies, no other terms were announced. LEFT: Edin Campara in action with FC Maritsa. RIGHT: Ambush CEO Shelly Clark congratulates Campara at his contract signing at the Ambush office February 28, 2019. The Bosnian native played one season of collegiate soccer at Lyon College in Batesville, Arkansas and three seasons at Columbia College in Columbia, Missouri. While at Lyon, he was a First Team All-Conference selection as a freshman. At Columbia, he was named First Team All-Conference as a Junior. In his senior year, he earned First Team American Midwest Conference and received an AMC Offensive Player of the Week Award. Campara played last season with FC Maritsa, a semi-pro St. Louis team in the UPSL. On Saturday, the Ambush will wear special St. Patrick’s Day green jerseys that will be auctioned off to benefit Junior Achievement, sponsored by CPAs for Hire. The first 1,000 fans in attendance on Saturday will also receive Ambush Player Card Set #4. On Sunday, the popular Annual Mascot Game will be held at halftime, featuring mascots from various St. Louis area sports teams, businesses and organizations. Fans in attendance at this weekend’s games will also have the first opportunity to lock up seats for next season, as season tickets for the 2019-20 season go on sale this weekend. Following this weekend’s games, the Ambush play three consecutive road games starting with a visit to Lakeland, Florida to duel the Tropics on March 10, then battling the Wave in Milwaukee on March 17, then squaring off with the Kansas City Comets in Independence on March 23. After three on the road, the Ambush return home for the regular season finale when the Wave invade the Family Arena Friday, March 29 at 7:35 p.m. CDT. The first 1,000 fans in attendance March 29 will receive Ambush Player Card Set #5.